Deborah Duncan Is Great With Animals Too! It’s true…Deborah Duncan is just as big-hearted as her smile is charming and her wit is quick! The new host of Great Day Houston is dazzling her audience every day but what some may not know is that she also gives her time and talent to animal charities in Houston. Deborah Duncan needs no introduction to Houstonians. Prior to becoming the “Lead Dog” of KHOU’s morning show, Great Day Houston, Deborah co-anchored the morning news, hosted a radio program and had a nationally syndicated talk show in 2002, The Deborah Duncan Show. Through her journalism background and her childhood growing up in Taiwan and Japan, Deborah has been exposed to many people and situations. “Because my dad was in the military, we were constantly moving. I went to five different elementary schools. I tried to find out everything I could about my “new friends” the first week I was there.” Deborah has a gift for putting people at ease immediately and she will most always make you laugh! Her keen sense of humor and her desire to help others are two key elements to her captivating character. While filming her television show, The Deborah Duncan Show, in 2002, Deborah met Kimberley DeLape, a personal designer, make-up artist and philanthropist. Kimberly was applying make-up to show participants for a segment called “All About Shoes”. The two became fast friends and found many commonalities including their love of animals and their desire to help the downtrodden. Deborah introduced Kimberley to local animal charities, including Citizens For Animal Protection. “We began working on a number of charities together,” says Kimberley. In addition to animal charities, the duo has worked together for The Bridge, a shelter for battered and abused women and children, The Kidney Foundation and several others. In addition to helping at-risk children and battered women, Deborah and Kimberly also share an “animal attraction” of sorts. “Deborah introduced me to Citizens For Animal Protection (CAP)”, notes Kimberly. “I went with her one day to get a shelter dog and I was so impressed with the dedication of the organization and the enormous and heartbreaking reality of homeless animals that I had to get involved” she adds. Deborah grew up with animals and has had pets of various types throughout her life (her current “gotta have” is a Llama….that should be interesting in Houston!). “When we lived in Taiwan, my brother and I had cats, bunnies, fish, lizards and I even had a jackrabbit for awhile,” says Deborah. “I was always rescuing animals. I can even remember painting the letters “DD” on the back of my turtle with red nail polish to make sure there was no mistake who that turtle belonged to” laughs Deborah. As a leader in our community, Deborah is a strong proponent of Spay and Neuter. Deborah recalls a News segment she did as a reporter years ago in Austin that involved the Humane Society. “The Humane Society was on the defensive because the public was upset over the number of animals being destroyed by the organization. The segment highlighted that the Humane Society was working hard to save animals but the number of animals turned in to the organization was staggering. We walked a dog through the complete process of intake to the gas chamber and the public got to see what really happens to these poor animals” notes Deborah. She also adds that the dog was adopted just as they were about to shut the gas chamber door by the cameraman…. one life saved! From time to time, Deborah features animal-related topics on her show, Great Day Houston so be sure to watch her on Ch. 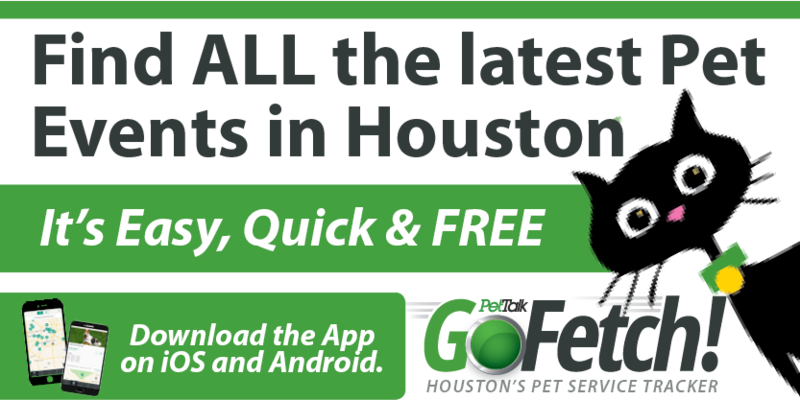 11, KHOU, weekday mornings at 9am and be thankful we have such an enthusiastic animal supporter in our city!